Mariposa's Tales MARIPOSA'S TALES: Wish You All Wealth and Success! Wish You All Wealth and Success! We just celebrated the Chinese New Year and we will have different related activities for the next 2 weeks. A tradition that the family gets to keep for the most part is the giving of red envelopes. I, personally is fond of giving red envelopes may it be new year or any special occasions such as birthdays. I'm sharing you one here. I wish you all success and prosperity for 2010! May this be your best ever! 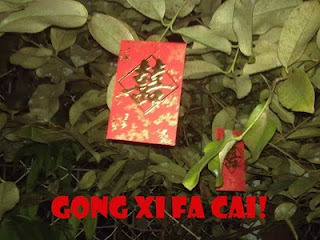 Happy Chinese New Year and WW to you!! All the best to you and yours as you begin the New Year. We go Tigers this year. This year is Tiger - does that mean it's the Year of the Cat? where's mine? hehe cool shot! Thanks for the well wishes and a very Happy New Year to you too! Happy Chinese New Year, Mariposa!!! Thanks for visiting my blog once again, always appreciated. Thanks for the red envelope. Happy Chinese New Year! They are really pretty and special looking. My bank gave them out one year and I used them happily.